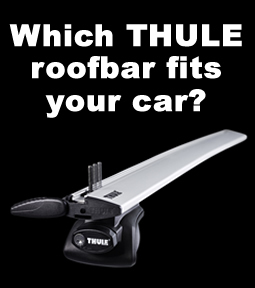 The Thule SlideBar 891-893, a unique, premium load bar with Bi-directional sliding functionality, for easiest possible loading. The new Thule slide bar is already a multi award winner having won awards such as the prestigious premium Scandinavian IF design award, The IF Design awards covers all aspects of product design. The IF design awards have been awarded since 1953 and are recognized as a mark of innovation and design excellence. Thule have also won a for best design product in the Highly respected Red Dot design awards. The unique bi-directional Sliding bars allow you to slide the load section of the roof bar away from the vehicle from either side up to 60cm making the loading of bulky items a lot easier, this also prevents you having to lean across the car which will prevent the vehicle from getting scratched and keep your cloths clean.